Attentional blink (AB) is a phenomenon where the brain's ability to detect objects is reduced when presented with a sequence of visual stimuli in rapid succession at the same space on a screen or location. This presentation of sequenced images or stimuli is called rapid serial visual presentation (RSVP). Researchers have noticed that during RSVP, if a second target object is presented 200 to 500 milliseconds (ms) after the first one, the brain often fails to pick it up. This impairment was first noticed in 1992. 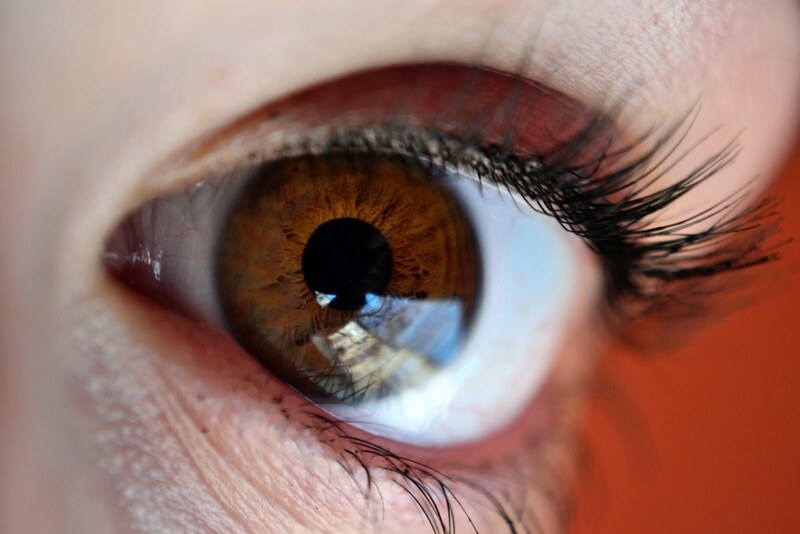 Attentional blink has been a factor in the study of the human brain's ability to consciously perceive its surroundings and the stimuli contained within across space and time. AB is produced by perceptual confusion between the first and second targets due to the target identification process. It is suggested that one way of eliminating confusion is to have items than cannot be named. AB occurs because an inappropriate item is selected out of series because of competition (interference) among the multiple items in the series. It is suggested that the amount of interference increases with increasing size of the series and decreases with decreasing size of the series. The AB deficit is said to arise from the decay of T2 when the person's cognitive processes are busy processing T1. It is suggested that anything that increases the difficulty of T1 processing will result in a greater AB deficit. The first target occupies attentional capacity to the detriment of a trailing secondary target. This theory suggests that the duration for which the first continues to occupy attentional capacity is related directly to the second one's processing difficulty. It is proposed that rapidly processing a series of items requires two sequential stages: an initial rapid-detection stage (Stage 1) in which potential targets are detected, and a second capacity-limited stage in which items are processed serially for subsequent report. Access to Stage 2 is gained by items that have been identified as potential targets in Stage 1. And, until Stage 2 finishes processing T1, T2 cannot gain access to Stage 2. If T2 arrives in Stage 1 before Stage 2 is free, its access to Stage-2 processing is delayed. The AB deficit is brought about by the decay of T2 in Stage 1 during this delay. This theory suggests that the amount of AB will depend on the discriminability of T1. If Stage-2 processing of T1 is not slowed down by discriminability problems, processing of T2 is not delayed, and the AB deficit is reduced or eliminated. So far it has seemed an irreparable limitation of human perception that we strain to perceive things in the very rapid succession of, say, less than half a second. Psychologists call this deficit "attentional blink." We'll notice that first car spinning out in our path, but maybe not register the one immediately beyond it. It turns out, we can learn to do better after all. In a new study researchers now based at Brown University overcame the blink with just a little bit of training that was never been tried before. "Attention is a very important component of visual perception," said Takeo Watanabe, a professor in Brown's Department of Cognitive, Linguistic and Psychological Sciences. "One of the best ways to enhance our visual ability is to improve our attentional function." 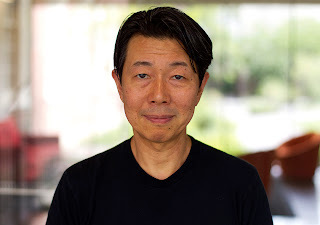 Watanabe and his team were at Boston University when they performed experiments described in a paper published the week of July 9 in the Proceedings of the National Academy of Sciences. The bottom line of the research is that making the second target object a distinct color is enough to train people to switch their attention more quickly than they could before. After that, they can perceive a second target object presented as quickly as a fifth of a second later, even when it isn't distinctly colored. In the first and most important experiment, the researchers sat 10 people down at a computer and showed them a rapid-fire sequence of many white-on-black letters and just two white-on-black numbers. The characters would appear and disappear within a tenth of a second. People were then supposed to type the numbers they saw. In one set of sequences the numbers were spaced only two characters, or a fifth of a second, apart. In another set the numbers were spaced apart by six characters, or more than half a second. People performed hundreds of rounds of each task. Before training, which also lasted hundreds of rounds, people were much more likely to get the second number right when it was presented more than half a second after the first. If it was presented less than half a second later, there was a measurable attentional blink effect. To train people, Watanabe and his team made only one difference: they colored the second number red. "A color change can be very conspicuous," Watanabe said. "If all items are black and white and all of a sudden a color item is shown, you pay attention to that." After training, the researchers went back to presenting the subjects with the same kind of black and white letter-and-numbers sequences for two more days. In the more rapid sequence, the trained subjects were able to get the second number right much more often, almost exactly as during the sequence with a longer time between numbers. Attentional blink was almost completely gone. In a second experiment they invited the subjects back an average of two-and-a-half months later. They found the perception performance increase was still in place. To test whether the color training was effective, rather than the mere repetition of the training, the team ran a training session for six new participants in which the second target number was not colored. Then the scientists measured the volunteers' performance. Without the increase in salience provided by color, the subjects didn't show an improved ability to spot the second rapidly presented target number. Takeo Watanabe and colleagues found a way to train the brain to switch attention more quickly, overcoming a phenomenon known as "attentional blink." The researchers also tested to determine whether the mere presence of color helped extinguish attentional blink, even when it was not linked to the second target number. They asked eight new people to undergo a training in which the second target varied in when it was presented, but that the second character after the first stimulus was colored red, whether it was the target or not. People with this training also failed to improve. "The results of experiments 3 and 4 together indicate that [attentional blink] is eliminated only when [target 2] is consistently attended to during training," the authors wrote. That said, the effects of training were shown in successive experiments to take hold even when the experimenters varied the time interval between the first and second target numbers, and when the numbers were masked not by letters, but instead by gibberish characters. Finally, the researchers ran the original experiment with nine volunteers in an fMRI machine to see what was going on in the brain before and after people received training. The goal was to see if training helped them process quicker targets like they do with the more slowly spaced targets or whether they pay attention differently. If the improvement came from processing, the researchers reasoned, they'd expect to see to brain activity when handling the more rapid sequence bear a greater resemblance to the brain activity during the slower sequence. Instead they saw no such increased correlation in four parts of the brain. This gave credence, the authors concluded, to the alternative explanation, which was that people were deciding to switch their attention more quickly after training, rather than processing the visual stimuli faster. "Attention is a cognitive component of visual perception," Watanabe said. "We have shown that even a higher cognitive component of visual processing can be improved."